Drew worked in and out of Titan Sheds for the last 25 years and recently created Titan Lite Shed Parts within the Titan Group Of Companies which is a large success for Titan's 100,000 strong customer base. How podcasting changed his next level of personal life? Why podcasting is hot all of a sudden? When someone is considering a podcast as a medium, how do I know if it's for me? How complicated is it to do a podcast? “Through meeting Steve Dart from Pulse X and it was just through that experienced. 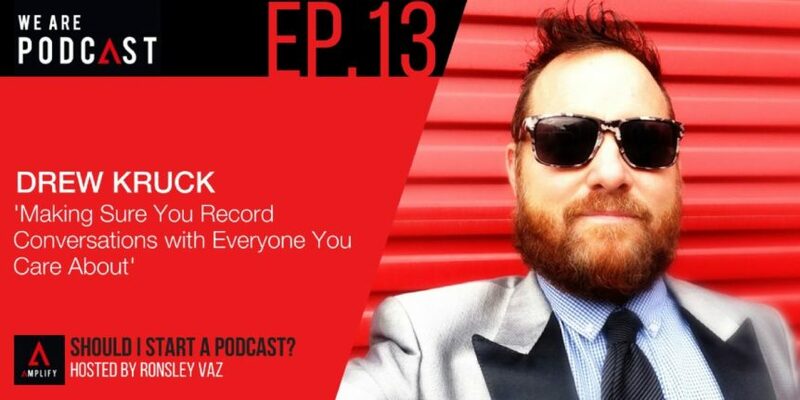 Choosing to meet on podcast, talking to positive people and some of my friend is like “I don’t think you’re ready to speak on the show.” And now I’m podcasting on his show and producing that show and we speak entrepreneurs every day. I don’t know where it end up but I know this is the start. Podcasting is the greatest thing that happened to me recently that started the next level of my personal life. “Like I said The Joe Rogan experience. Another comedian Bill Burr. He has a money morning podcast and He's just sort of an angry guy. He's kind a like my dad. He doesn't have guests. He’s quite popular. I guess I always kind listen to a few and got ride into Dave Jackson. The school of podcasting. I'm always playing that on Sunday nights while I barbecue some ribs or something. I find that sort of neutralizes me if I listen to podcasters, you know tips of podcasting.